The expected ritual of holiday tipping need not be awkward, uncertain, or stressful. Because many service people with whom we deal on a regular basis throughout the year expect to be recognized with cash, determining the correct amount can be tricky. Each season brings a plethora of general guides for allocating your tip money; however, these amounts will vary considerably from community to community. All tipping should take into account length of time they have worked for you; frequency of their service (daily, weekly, monthly); quality of service and personalized attention; extra services they may provide, and&apos;? ?most important-- your relationship with them. Your appropriate &apos;? ?TIP&apos;?, a nineteenth century acronym for &apos;? ?to insure promptness&apos;?, will, hopefully, ensure continuing reliable service. Because you are expressing gratitude, a note or card is what makes your gift special. In general, cash is the most impersonal gift, a gift certificate is more personal, and the chosen, wrapped gift the most personal. A thoughtful gift not only says &apos;? ?thank you&apos;?, but demonstrates that you have taken the time to know them as individuals. Here are some tipping do&apos;? ?s and don&apos;? ?ts from Qualipedia Founder, Dawn Bryan. Make a list and create a plan of action early in the season. In this tough economy, you may have to decide which people are the most important to you before allocating your budget. Keep list of your tipping&apos;? ?whether cash or gift--from year to year. Although you may forget, the recipient probably will not. Try to give all end-of-the-year gifts graciously in person. Present gifts of cash and gift certificates as early in the season as possible, as some recipients may be depending on them for holiday gifts or spending. Child care providers, nannies, and teachers appreciate gifts selected or suggested by your children. These could be in addition to your gift. Gifts of food should be selected with the recipient&apos;? ?s diet, food preferences/allergies, entertaining needs, and schedule in mind. Otherwise they will surely be re-gifted. If you would like to give more but cannot this year. Do not apologize, but thank recipients&apos;? ?in person and/or with a note. Then say that you hope to be able to do more for them next year. Or say that their gift will be coming soon, perhaps for another occasion, such as a birthday or the Chinese New Year. 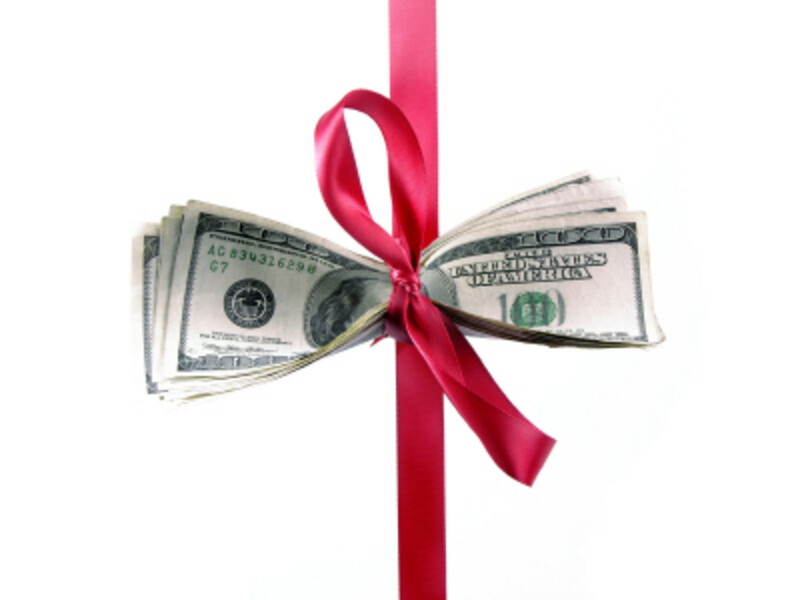 Give money or gifts to employees of a company unless you are certain that their policy allows it. Give gifts worth more than $20 to postal workers. They are not allowed to receive cash, gift certificates, or gift cards. A special gift: a letter of appreciation addressed to the postmaster of the local office to be added to their personnel file. Gift your boss, except in unusual circumstances, as this could be seen as bribery. A group gift will prevent competitive gift giving at the office. Give cash to teachers or other professionals, such as lawyers, doctors, nurses, financial planners, etc. However, sometimes parents may join to give a collective gift to a teacher. When tipping the same individuals annually, do not set up expectations that you may not be able to meet the next year. Present the tip in such a way that you make the recipient feel like a charity case.